Flu season has arrived once again, and with it, controversy over whether health-care workers should be required to take extra precautions to avoid spreading the disease. Every year at this time, people are encouraged by governments and health-care organizations to get vaccinated against the flu. And it makes sense to do so – some people may not care too much whether they get the flu or not, but certain segments of the population are particularly vulnerable to it. Mass vaccination has been proven to reduce the spread of diseases like this – conspiracy theorists nothwithstanding – so it makes sense to promote flu vaccination each year. Hospitals and other health-care facilities not only can see a concentration of people who may come in due to flu symptoms – especially if the symptoms are particularly serious or life-threatening – but also can have a number of people who are already sick and are especially vulnerable to catching another communicable disease. So it also makes sense for such facilities to want their staff to get vaccinated. However, some health-care workers don’t like policies that either force them to get vaccinated against the flu, or wear masks instead. This type of policy was introduced by St. Michael’s Hospital in Toronto in 2014 and the Ontario Nurses Association (ONA) immediately filed a grievance against it – as well as similar policies at six other medical facilities in the Toronto area. An arbitrator recently ruled in favour of the ONA, finding the policy was unreasonable and unsupported by evidence that it helped prevent the spread of the flu virus at medical facilities. Sufficient evidence was necessary to impose upon the nurses to get the flu shot or wear a mask, said the arbitrator. This decision recalls that of another arbitrator back in 2015, which found a Sault Ste. Marie, Ont., hospital’s requirement that unvaccinated employees wear mask and, during an outbreak, those who chose not to be vaccinated could be placed on unpaid leave. Employees who couldn’t receive the vaccine for medical reason would be reassigned, if possible. The arbitrator in that case reached a similar conclusion – that there wasn’t evidence supporting the use of masks as a way to reduce flu transmission at the hospital. In addition, the arbitrator found that the real reason for the mask policy was to get more employees to get vaccinated: see Sault Area Hospital and Ontario Nurses Association (Sept. 8, 2015), J. Hayes - arb. (Ont. Arb.). 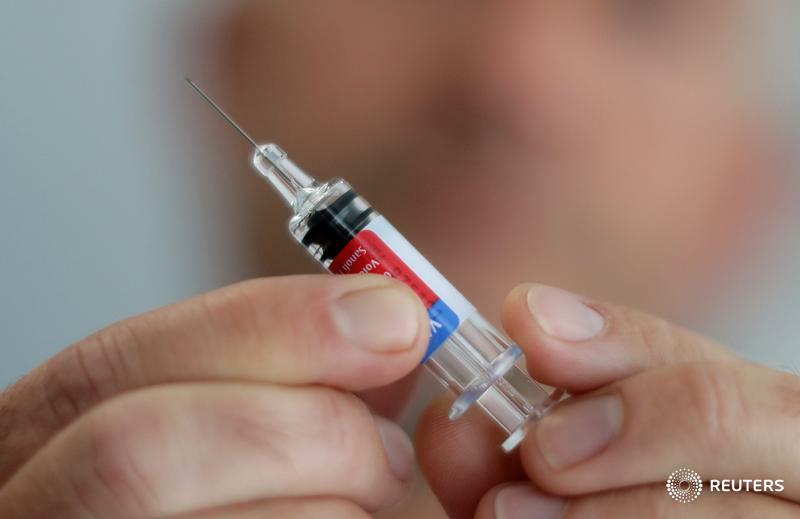 Going back a little farther, in 1998 an arbitrator took a different tack, upholding a retirement home’s policy that required employees to be vaccinated against the flu or, during an outbreak, either take antiviral medication or go on unpaid leave. The arbitrator found that employees weren’t compelled to receive the flu medication, they just faced financial consequences if they didn’t. The arbitrator also found in this case there was sufficient evidence showing vaccination helped prevent the spread of the flu, the policy had a rational connection to the health and safety of residents and staff, and employees were well-informed as to the purpose of the policy and the consequences of refusing to get vaccinated: see SEIU, Local 183 v. Trillium Ridge Retirement Home (Dec. 18, 1998), J. Emrich — Arb. (Ont. Arb. Bd.). It’s hard to deny the evidence that vaccination reduces the spread of the flu, or at least can reduce the seriousness of it. In the older decision above, this was enough to validate the employer’s policy requiring vaccination. But in the more recent decisions, the evidence doesn’t appear to be enough to infringe on employees’ right to make decisions about their own body. On the other hand, it could be argued that the decision to get vaccinated or not against the flu isn’t just a decision about one’s own body – it can affect other around you, including co-workers and patients.